Insomnia sounds simple. It’s just the inability to fall asleep, right? Well, not exactly. Insomnia may also be the inability to fall asleep, stay asleep, or fall back to sleep after waking. A person suffering from insomnia might experience one form of it, two, or all three. Insomnia may disturb sleep for a brief period of time or chronically, possibly leading to long-term sleep debt. Insomnia is by far the world’s most common sleep disorder (1), and its effects are potentially serious and far-reaching. Particularly when insomnia becomes chronic, it can adversely affect relationships, social life, work performance, and mental and physical health, and have a detrimental impact on quality of life. Effects of insomnia typically include fatigue, lack of attention span, poor memory, decreased productivity, depression or irritability, anger, poor decision-making, low motivation, and memory issues. As many as a third of adults suffer from one or more types of insomnia at some point in their lives. Insomnia symptoms are more common in older adults, and are particularly prevalent in people under stress, pregnant women, (2) and those suffering from mental illness. Insomnia Fact: SOL, or Sleep Onset Latency, is the period of time it takes to transition from being fully awake to being asleep. Insomnia Symptoms or Insomnia Disorder? Though insomnia may appear to be a relatively straightforward disorder, it is actually quite complex. Insomnia can come and go throughout life depending on health, family and employment circumstances, and levels of stress. Insomnia may take a number of forms, some brief and relatively manageable, others chronic and more challenging to treat. Symptoms of insomnia are usually related to a life event or circumstance, and tend to resolve by themselves without treatment. Insomnia disorder is persistent insomnia lasting three months or longer, and is often a conditioned negative response to sleep or the sleeping environment. 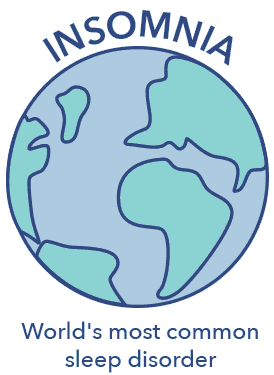 Most types of insomnia refer to insomnia symptoms associated with particular triggers, not the chronic insomnia characteristic of insomnia disorder. Though the Diagnostic and Statistical Manual of Mental Disorders, Fifth Edition does not distinguish between causes of insomnia, it can be helpful to break the disorder into sub-types to understand how it might be experienced by sufferers. Some of these sub-types refer to the duration of symptoms, while others refer to medical, developmental, psychological, or other causes. Chronic insomnia refers to a longer-term pattern of problematic sleeping. (6) Chronic insomnia may develop from the anxiety of short-term or acute insomnia, and become a lifelong issue. Due to its duration, chronic insomnia may have wide-ranging health effects such as diminished alertness, greater risk of occupational injury, cognitive and memory impairment, and mood changes. Work and relationships may be impacted, and quality of life reduced. Adjustment insomnia describes a period of insomnia symptoms linked to a life event. Stress, anxiety, or lack of familiarity are frequent underlying factors. The terms “adjustment insomnia” and “acute insomnia” are sometimes used interchangeably, as causes may be similar. This type of insomnia refers most often to sleeping difficulties caused by medications or recreational drug use. The most frequent offender is caffeine, but sleep can also be adversely affected by alcohol, cold medications, opioids, ADHD treatments, and cannabis. Though cannabis may help some users fall asleep, it reduces the time spent in REM sleep, cuts down on dreaming, and may markedly increase alertness. (10) In addition, insomnia symptoms are common during withdrawal from habitual cannabis use. Stimulants such as cocaine and amphetamines may decrease REM and slow wave sleep and damage the circadian rhythm, in some cases permanently affecting a user’s ability to sleep. Some drug users begin a damaging cycle of taking stimulant drugs to remain awake and sedative drugs to sleep. Users may also experience rebound and withdrawal insomnia once they stop using drugs. Abusers of alcohol and opiates are particularly susceptible to these types of insomnia symptoms, which can be part of a larger withdrawal syndrome and persist for weeks. Prednisone, a steroid commonly used to treat inflammation and pain, is known to cause such side effects as restlessness and disturbed sleep. Inhaled drugs for asthma and other respiratory conditions are common culprits, as well. Onset, Middle, and Late Insomnia describe the time of night when insomnia symptoms occur. Insomnia sufferers may experience one, two, or all three stages, no matter what the cause of their symptoms. Onset insomnia describes difficulty with falling asleep at the beginning of the night, or the point of what’s termed “sleep onset.” This type of insomnia is quite common, and is characterized as a delay in sleep that lasts more than thirty minutes. Causes of onset insomnia may include stress, consumption of alcohol or caffeine, poor sleep hygiene such as electronics usage before bed, and illness. The disorder is particularly associated with anxiety and stress. It may be temporary, acute, or chronic, and occur alone or along with middle and/or late insomnia. Middle Insomnia, also known as maintenance insomnia, refers to difficulty staying asleep. Sufferers may wake once or more often during the night and have trouble getting back to sleep. Middle insomnia is often associated with alcohol use, disorders that cause chronic pain, and babies who awaken for middle-of-the-night feedings. One common cause of middle insomnia is menopause. (18) Because estrogen assists the functioning of essential neurotransmitters involved with sleep, declining levels of this hormone may disturb circadian rhythms. Hot flashes and shifting hormones may disrupt sleep, while life transitions and career pressures may contribute to insomnia, as well. Perimenopause, which occurs in the years before menopause, may also be a period of sleep difficulties due to changing levels of estrogen and progesterone. Middle insomnia may occur in conjunction with other sleep disorders such as restless leg syndrome or sleep apnea. These disorders can disrupt sleep repeatedly, in some cases up to ninety times each night. REM sleep behavior disorder, in which the normal muscle paralysis of REM sleep is absent, may cause frequent awakening due to the physical acting out of dreams. Also called “learned insomnia,” this type of sleep disorder occurs when insomnia becomes a conditioned response to going to bed. This conditioned response is frequently an underlying mechanism behind chronic insomnia. Many sufferers experience a precipitating event that causes insomnia symptoms, but once the trigger is removed, the insomnia remains. Conditioned insomnia is more common in women, and may occur in conjunction with health anxiety. Normal preparations for sleep such as tooth-brushing and showering may induce a conditioned response of fear or anxiety, which can be worsened by the release of the stress hormone cortisol. Insufficient sleep may become a habit, along with the fear of being unable to sleep. The cycle may continue for weeks or years unless diagnosed and treated. 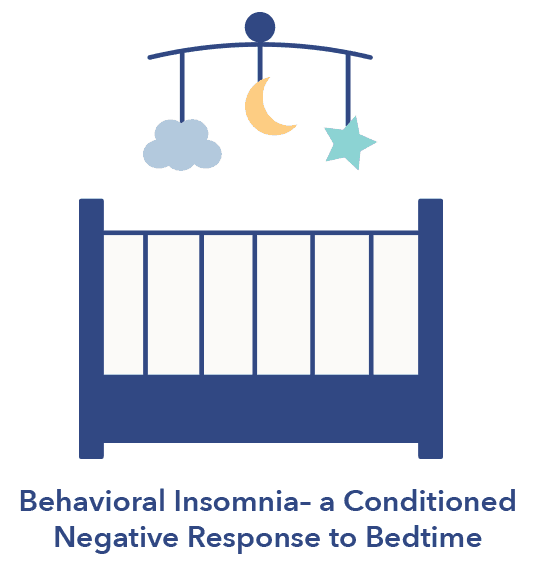 Behavioral insomnia may begin when a child is not given a specific and strict bedtime. Children who suffer from this sleep disorder are typically under five years old. They do not learn regular sleep habits and routines, and as a result may struggle with getting to or staying asleep. Needing to sleep with a parent may be another common trigger. These types of symptoms can last into adulthood, and may affect the potential for good sleeping habits for a lifetime. Most children between three and five years old require about 12 hours of sleep, plus naps. Children with this form of insomnia may get much less than this, leading to other symptoms of insomnia such as daytime sleepiness, hyperactivity, and aggression. Childhood behavioral insomnia is divided into two types: limit-setting and sleep-onset association. Both types of childhood behavioral insomnia involve anxiety around the idea of going to sleep. They are similar to conditioned insomnia, but occur in children. The sleep-onset form of this disorder involves a negative association with bedtime. The negative association may begin when a pleasurable activity such as game-playing or television-watching is stopped because the child must go to sleep. The child may have become used to rocking, singing, story-time, or sleeping with a parent, and may be reluctant to go to sleep or remain in bed alone if these routines change. Sleep-onset disorder might be more than a matter of sleep-related anxiety or bedtime routine. This type of childhood insomnia is sometimes associated with common behavioral issues such as attention deficit/hyperactivity disorder. Also called pseudo-insomnia, paradoxical insomnia refers to a complaint of severe or chronic insomnia which is not objectively occurring. The key feature of this disorder is overestimation by the sufferer of how long it takes to fall asleep, or exaggerated periods of wakefulness. Those who complain of the disorder also tend to underestimate actual time spent asleep. Sleep studies of paradoxical insomnia sufferers reveal normal sleep/wake patterns. Onset and efficiency of sleep are usually within normal limits, as well. Though sufferers may claim that they get very little sleep or spend hours lying awake, they are not as sleep-deprived as they claim to feel. This refers to insomnia caused by poor sleep hygiene. This may mean having a bedroom which is too warm, cold, or uncomfortable. It might refer to unproductive sleep habits, such as using electronics just before trying to sleep, drinking coffee or alcohol in the evening, or having a poor bedtime routine. 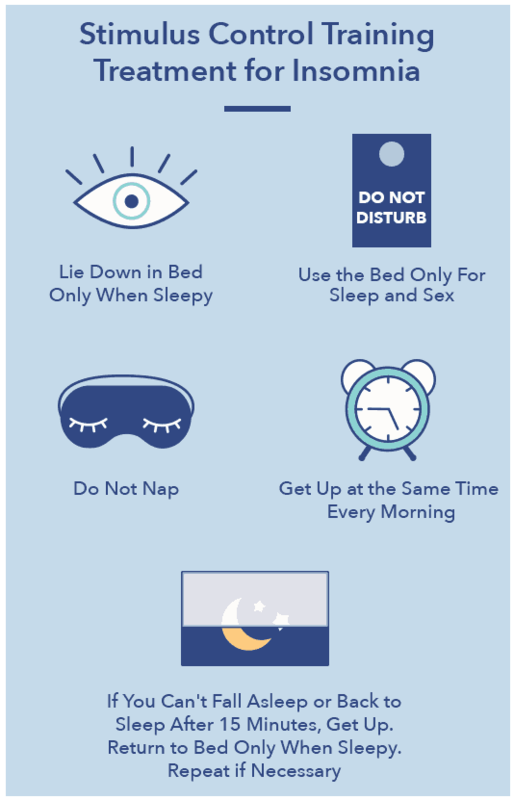 Sleep hygiene insomnia is one of the most common forms of insomnia, and one of the most treatable. Sleep hygiene insomnia may be the result of one poor sleep habit, or many. An inconsistent bedtime may be enough to disrupt circadian rhythms and cause sleep hygiene insomnia. A new pet or baby can interrupt or delay sleep, as can external noise and bright light. 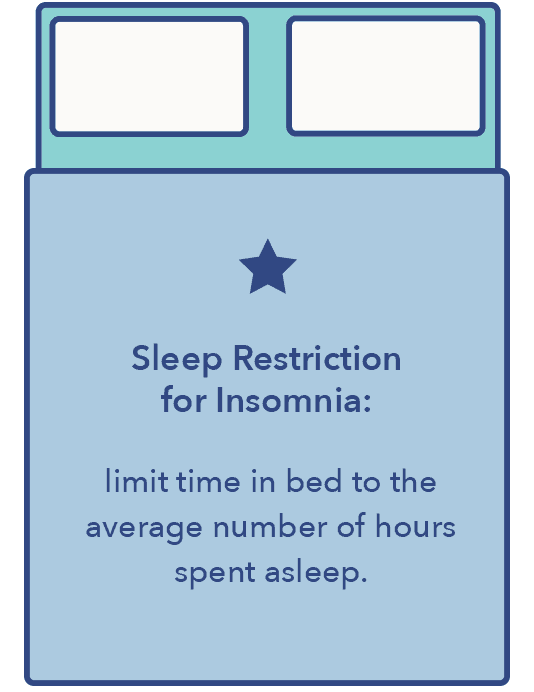 Treatment for insomnia falls into three broad categories: sleep hygiene, therapy, and medication. A doctor may suggest one or more forms of treatment, depending on the diagnosed cause of the disorder, age of the patient, or underlying medical condition. 2. Relaxation training. 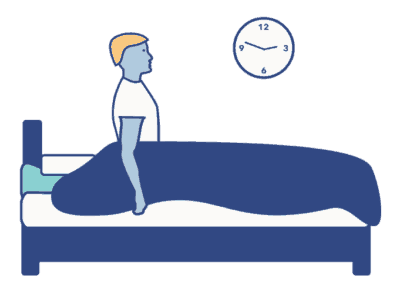 Relaxation training teaches insomnia sufferers to use a combination of meditation techniques, guided imagery, and breathing exercises to prepare the body for sleep. Biofeedback helps patients learn to control the body’s normally involuntary bodily processes, such as heart rate, blood pressure, and muscle tension. This combination of techniques helps to relax the body, calm the mind, and make falling asleep easier. 3. Cognitive Restructuring. This aspect of the protocol involves challenging negative beliefs about sleep, and replacing fearful associations with positive thinking. Worrying may be relegated to a particular time of day so the evening and just before bed become times of relaxation. Insomnia patients in cognitive behavior therapy learn to manage stress and control the over-active thought process that may lead to sleep difficulties. Another avenue of therapy is called paradoxical intention, a type of treatment which involves remaining passively awake while not worrying about or attempting to sleep. This many help to decrease conditioned responses to bedtime, such as anxiety and restlessness. A healthy change in sleep habits can reset the body’s biological clock, train the brain to associate a particular environment and time of night with sleep, and eliminate disruptions that cause fragmented or low-quality sleep. Medication may be an effective treatment for insomnia if used in a limited way and for a brief period under a doctor’s care. Most medical professionals do not recommend long-term use of insomnia medications, which may lose effectiveness over time as the body builds tolerance to the medications effects. 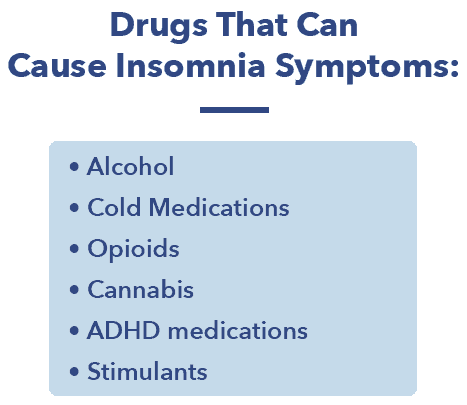 Some insomnia medications also have the potential for abuse, or for side effects such as daytime drowsiness, memory loss, dizziness, headache, or odd behaviors such as eating while asleep. Insurance coverage of medications may vary according to type of medication and insurer, and may be limited to a certain number of pills per week or month. Use of sleeping pills may also require the ability to get a full night’s sleep, as well as avoidance of alcohol, driving, and operating machinery. Sleeping medications do not typically treat the underlying causes of insomnia, which may persist after medications are stopped. Insomnia is a complex sleep disorder with myriad causes and symptoms. It is also one of the most treatable sleep disorders, and one of the most responsive to good sleep habits and hygiene. Most of us will experience at least one form of insomnia in our lifetimes, but with proper treatment and understanding of the disorder, insomnia doesn’t have to keep us awake at night.